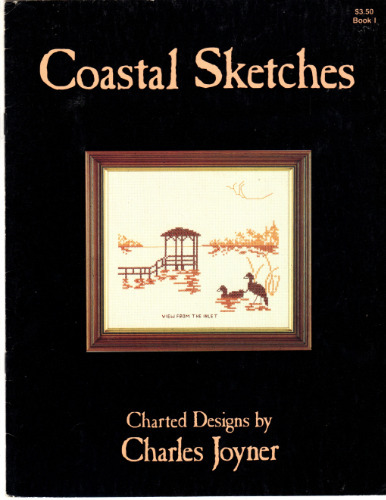 Charted Designs by Charles Joyner Coastal Sketches counted Cross Stitch Pattern booklet. Beach Cottages, Mending Nets, Lighthouse, View from the Inlet. Appears new.